Do you know what time it is? Just now, you likely paused to check. You may have looked to the clock on the wall, or the phone in your pocket. Maybe you raised your arm to glance at the watch on your wrist. Or called out, “Hey, Siri, what time is it?” You have your answer but what time is it, really? You’ve heard it said, “We have all the time in the world!” But have also been cautioned, “Time’s a’wasting.” How do we really know what time it is? There’s an absolute atomic clock reference point that nations have agreed to recognize which essentially never varies. Our device’s time derives from this atomic standard. But Jesus wanted his followers to reconcile their life’s mission to a different clock: eternity. It includes everyone. It extends everywhere. 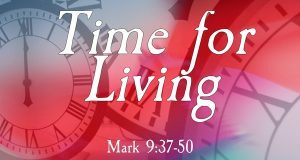 Jesus wanted them to make time for living. This week we’ll learn how to reset our clock to God’s time. Making time for living invites us to remove distractions, false reference points, and criticism of those who serve differently. What time is it? Its time to bless others and preserve the peace. It’s all about time. 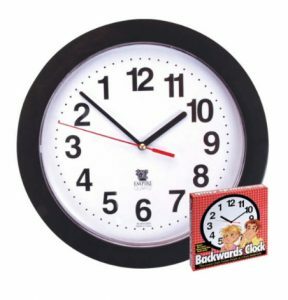 How do we know what time it is, or know if if the clock we have is set correctly? What do we do? Live “out of sync” or reset? Our choices: Try to set everybody else to our time (not a good choice! ), or the better choice to set our time to God’s time. Let’s ask God to reset our clocks and keep in time with God. 2018-09-23 Message- Make Church Great Again. No Child Left Behind. Make America Great Again is , well, a great slogan! It stirs our imaginations to conjure images of America as Great! But what is our frame of reference to be Great? Back a few centuries ago, America was considered Great because it was the friend of all, welcoming of every religion, even the Puritans (who were kicked out of England because their faith was just weird), the Anabaptists (who fled Europe because their faith was non-conformist), the Roman Catholics (who were feared to be worshipping a prince in a tall white hat instead of the Prince of Peace), and welcoming of Italians, Germans, Scots, French, Asian, African, and South American countries, too. Being great means no one is left behind. There is room for you. One more. The ones no one else seems to want. The others who are forgotten. Being Great as in winning the Great War, enjoying the Greatest Show on Earth, hearing the Greatest story ever told, singing Great is Thy Faithfulness, and recalling Jesus tell his disciples, Greater things you will do, are all, as I said, really great. Aspiring to greatness can be a great thing to aspire to. But what is great? And how do we as individuals become truly great? How do our communities become great? How can Cold Spring Church become great? How can America become great? Well, what did Jesus say about greatness? Let’s take a look at Mark 9:30-37. Not a peep. Like getting caught in science class whispering to a classmate. Stoic Silence. Apparently no one admitted the conversational topic. THey were too embarrassed. But like I said, Jesus is not hard of hearing. He sits them down in the home they arrived at, and starts addressing what they thought was a silent running. Simple. Include everyone. Welcome this child. Love this child. Protect this child. As you welcome children, you are welcoming me, Jesus said. To be great, is to be the servant of all. All of us are children. Some of us just move faster or slower than others. Every age. Every person. Welcome. Now, let’s show God’s love as servants in the community, and to the degree we serve, we will be great again! And that’s Great! 2018-09-23 Message for Kids- Adults Are Slower Moving Kids. God loves all children. What’s the difference between children and adults? Age? How about speed? 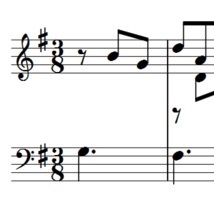 Listen to the following pieces of music. Two pieces. Same music. Same pianist. Same piano. What’s different? (Glenn Gould, Goldberg Variations: 1. 1955. 2. 2005.) The first was faster than the second. The number “50” represents the difference between these two performances. 50 years between them. When younger, we move faster. As we become older, we move slower. But the childlike love for the music in 1955 was the same childlike love Glenn Gould played in 2005. All of us are children. We just move at different speeds. God loves all children, no matter how fast or slow they move! Who am I? This week, Jesus asks his disciples who others say he is. Our identity, sense of self, is something that is uniquely ours, yet also something that others influence and may even have opinions about. Many of us struggle as we attempt to deal with the opinions of others, or we seem to invest a lot of energy in trying to live up to the unrealistic or artificial expectations of others. We also take steps to “protect our identity” whether it is the password on our bank account or smart phone, the key code on our garage door, or the safe keeping of our wallet. Some aspects of our identity can be “stolen” but our true self is not only safe in God’s hands, it is not static either because as we learn and grow, our sense of self grows, as well. 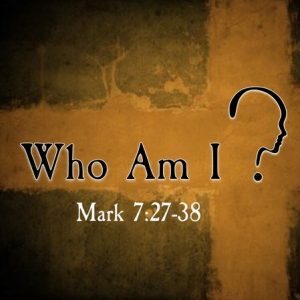 Our text this week from Mark 7:27-38 invites us into a dramatic encounter with Jesus who gives a rather shocking answer regarding his identity. His messianic identity of suffering, rejection, death, and resurrection is hard for the disciples to comprehend, and Peter tries to dissuade Jesus from his mission. Jesus’ disciples must see themselves as “followers” more than as “leaders.” What does Jesus mean when he declares that those who “follow” him must “take up their cross and follow me”? God told us who we were. Created in God’s image (Genesis 1:26; 1 Corinthians 6:19). Jesus Tells us who we are. His friends, his disciples, his co-workers planting seeds of hope (John 14:12-14; John 15:15). The Holy Spirit tells us who we are becoming as our minds are renewed, being transformed day by day. One day we will be presented faultless before the throne of grace (Romans 12:1-2; Jude 1:24). This week, Jesus asks his disciples who others say he is. Our identity, sense of self, is something that is uniquely ours, yet also something that others influence and may even have opinions about. 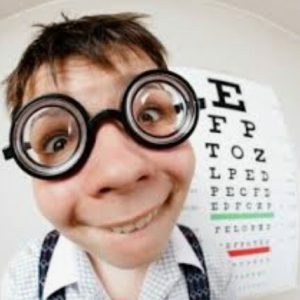 I will be using a mirror and inviting the kids to take a look at themselves and say what they see. And then ask them to consider what God sees. I will also have some fun with some eyeglass-funny nose masks to show them that we can all change our appearance on the outside, but who we are, growing and learning, happens on the inside. Greater Cape May has enjoyed a remarkable 2018 Summer tourist season, according to tourist data. More visitors. More economic growth. More memorable family experiences. This Summer, Cold Spring Presbyterian Church has enjoyed many visitors and has made many new connections, as well. With the Summer season officially ending with Labor Day, we have already noticed less traffic on the roads, more available parking spaces when we shop, getting a table at our favorite restaurant without reservations, and we have enjoyed saving money with seasonal discounts. Cape May has welcomed vacationers from near and far for an extraordinary experience. But according to New Jersey tourism officials, the season isn’t designed to be over at Labor Day. Commissioned studies have found that the modern tourist is increasingly upscale, desires shorter experiences because of a more demanding work and school schedule, and wants experiences that feel vibrant and exciting. I think Cold Spring Presbyterian Church can apply many of these tourism discoveries to its year-round mission. We have a call from God as a community of faith to achieve a positive impact on the communiuty at large in the name of Jesus Christ. God is on the move. Every. Single. Day. And we are uniquely positioned to serve our community in every season of the year. The tourism study stated that it “isn’t enough to advertise the beach.” That is, to advertise the typical, expected, and in some respects ordinary beauty of the beach. Sure, the beach is beautiful. But the modern tourist wants active, unique experiences that capture the spirit of our seashore community. Similarly, its not enough to be the oldest church in the area, or have the largest campus, or be a resting place for our centuries of dearly departed. While these are blessing from God and ministry assets, our neighbors and visitors alike want to nurture their spirits with engaging, unique experiences that not only “capture the spirit of the community,” but offer unique experiences with the Spirit of God. Modern tourists in the study want an “insider view” of wherever they visit. They want to connect. The study asked the question: “What could the county do by 2020 to attract that new kind of tourist? Creative, all-season activities that are more diversified and age-interest focused have attracted more participation in recent years. Our congregation’s ministry, likewise, has a year-round crowd, Summer-attending individuals, those who return in the Fall, and still others who leave in the Winter who return in the Spring. Each of these groups present a wonderful and challenging opportunity to deliver “experiences that feel vibrant and exciting” in our worship, community programs, Bible studies, weddings and other family-focused events, dinners, and connections with other community groups. Everything Cold Spring Presbyterian Church does will not be for everyone all the time. Some our our activities focus on our current congregation. Other events provide opportunities for our current congregation to bring friends and neighbors to enjoy. Other programs will be geared to a more youthful group while other ministries will be perfect for those who are older. Our interactions will be available onsite and also online which offer us amazing opportunities for impact. Our leadership team is exploring ways to feature our “beaches” which represent our physical assets including our beautiful, historic, red brick building and 200-acre campus along with developing new programs and improvements that engage our community all year long. Our partnerships with community groups, support groups, the Lower Township Chamber of Commerce, the Historic Cold Spring Village, and other churches help us to learn and grow. We will increasingly provide spiritual resources for everyone to live the abundant life in Christ through seasonal attractions that seek to bring regulars, neighbors, and visitors back to experience the Spriit of God again, and again. 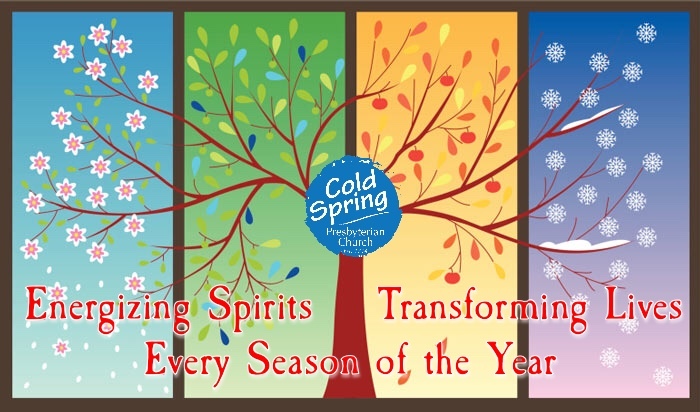 Be inspired at Cold Spring Presbyterian Church. There is a place for you to meaningfully learn, grow, and serve all year round! Our worship theme this week is healing as our Bible readings bring us back to the basics. Sort of a Real Life 101 from James 2:1-10, (You do well if you really fulfill the royal law according to the scripture, “You shall love your neighbor as yourself.” v8), and Mark 7:24-37 where Jesus is challenged by an “outsider” who expects a blessing, (But she answered him, “Sir, even the dogs under the table eat the children’s crumbs” v28). Our recent Mission Study helped us to look at our communities with fresh and current eyes. Take a look at your neighborhood. When you open your front door, what do you see? If you had to rank what your neighbors want more than anything else, would it be #1 worship, or #1 preaching/teaching, or #1 healing? Our churches have always focused on worship. And yes, we need great worship. And, yes, we need great preaching and teaching. But most of all, I think our communities need great healing. Spiritual healing. Physical healing. Emotional healing. And all of us can experience the healing we require and become an essential part of that healing offered to our communities. John 3:17 reminds us, “For God did not send his Son into the world to condemn the world, but to save the world through him.” The word translated save is also translated and means heal. What comes to you mind when you re-read this verse, For God did not send his Son into the world to condemn the world, but to heal the world through him. This message invites us to take a deeper look at our ministry in the community and ask how we can work with Jesus who not only saves or delivers us as forgiven, redeemed, people with eternal hope, but calls us to be in the healing business with him. Our communities need healing today. How will they know Jesus as the Great Healer if we don’t show them? 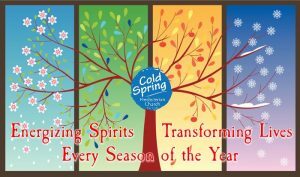 Find out how to practice the Art and Mission of Community Healing this week, at Cold Spring Church. Well, the Summer is drawing to a close. One of the things I don’t miss about Summer is sunburn! What do you do to relieve the pain of sunburn? Probably an ointment with Aloe in it. Have you even seen an Aloe plant? Well, here is one, take a look. The Aloe plant is pretty amazing. If you planted an Aloe plant in a small area, in a season it would expand to produce many, many more plants. The Aloe plant is really special because it’s nectar has healing properties used to relief sunburn pain and other hurts, too. Sometimes we have other kinds of pain that needs healing. When our feelings are hurt, when we are disappointed in ourselves or others, or when we just don’t feel ourselves. What helps us to feel better? 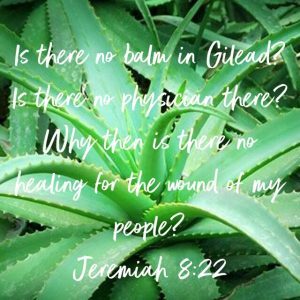 Jesus offers us a kind of spiritual Aloe so we can be whole, healed. John 3:17 reminds us that Jesus was sent to us to save the world. You know, the word for save also means heal. So God sent Jesus to the world to heal the world through him. Prayer is Aloe. Encouragement is aloe. Serving others is aloe. Reading the Bible and applying what it means is like applying aloe to our life. Jesus brings healing. This week, can you thnk of a few others who need healing? God can use you to be a kind of Aloe plant to them. 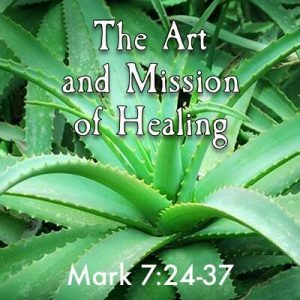 Here, this Aloe plant is for you to keep in your room to remind you that Jesus heals, and that you are a healer, too. Our Lectionary texts this week will help us to think about how to live our life “inside-out”. That is, how our inner spirit and motivations find expressions in our actions. In Mark 7, Jesus wants us to stand out from the crowd, not to draw attention to ourselves, but to reflect his character and values. The self-important religious leaders focused on what they ate, how they dressed, and where they stood in worship, and the importance they held in the eyes of others. The thing they missed was that God cared most for how they treated others, not how much money they put in the offering plate or the rituals they observed. The apostle James told his listeners, ”Religion that is pure and undefiled before God, the Father, is this: to care for orphans and widows in their distress, and to keep oneself unstained by the world” (James 1:27). How do we practice “undefiled religion” by caring for “orphans and widows in distress”? Given that all sin and fall short of the glory of God, we are all hypocrites to one degree or another and must grow to be more authentic and live with more integrity despite our inevitable mistakes and shortcomings. 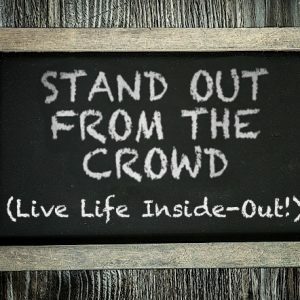 Let’s stand out from the crowd, in a good way, this week at Cold Spring Presbyterian Church!